With Valentine's weekend having just passed, I was surprised with a big box of scrumminess from Mr S this year. He knows me so well because the planners he picked were divine, although I may now be on planner lockdown with our impending house move. These will certainly keep me going as they are too yum! 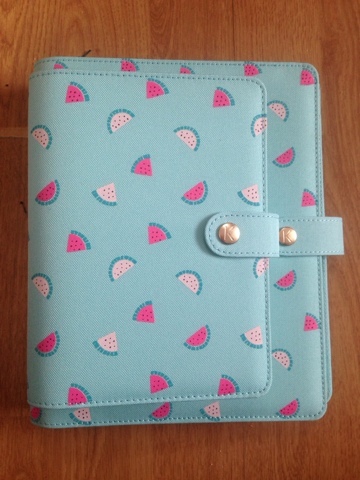 Now you may have noticed that one of the little beauties in my box is the watermelon planner, like the one I showed you not so long ago. There is just one small difference and that's the size. 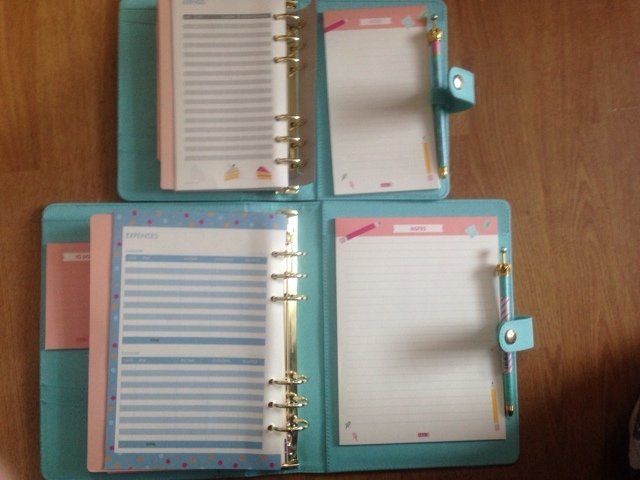 I use a combination of A5 and personal size planners on a permanent basis and I like them to match or at least co-ordinate, so now I can do just that. 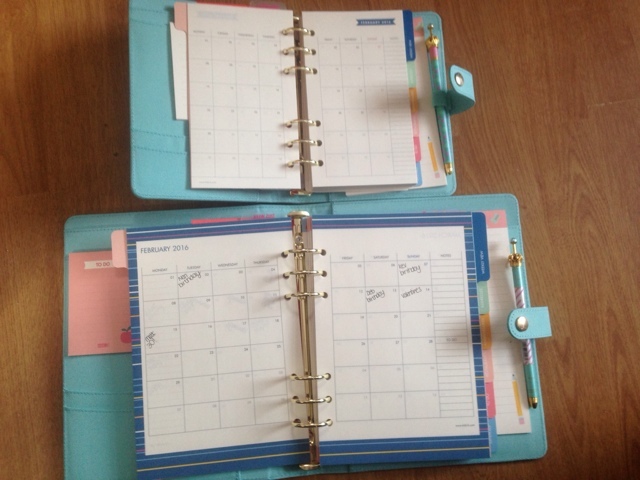 I was surprised however to discover that the differences between the two went beyond the size of the two planners. The inside pockets are the same shape, although naturally the medium is slightly smaller. 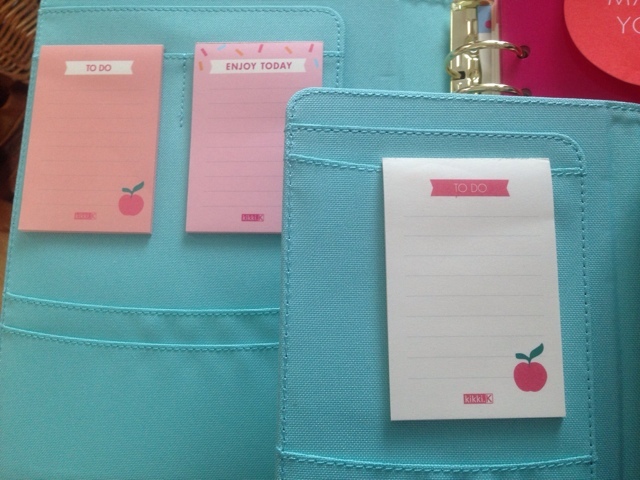 They both come with cute notepads, although the large has two pads whilst the medium only has one. I really like this touch as it means its not "matching matching" but you can still tell they're meant to go together. The dashboard was the same in both, which was great because I love the cute summery colours and pictures. It certainly helps put cold, dreary days out of my mind. Looking at this I just can't wait for some summer fun and adventure! The monthly layouts were similar, although there was a cheerful border in the large, but the medium was more basic. I'd guess this is purely to save on space so the boxes are still big enough to write in. 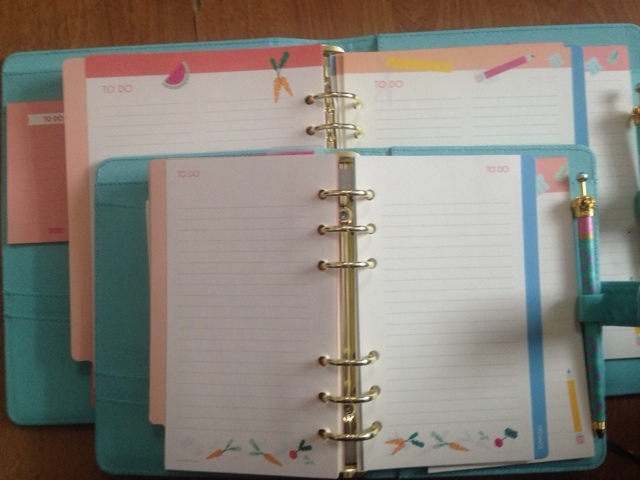 Initially I was a little disappointed, but actually I like that Kikki K have compromised the border rather than the practicality of the planner pages. Besides I can always add some washi tape if it bothers me that much. 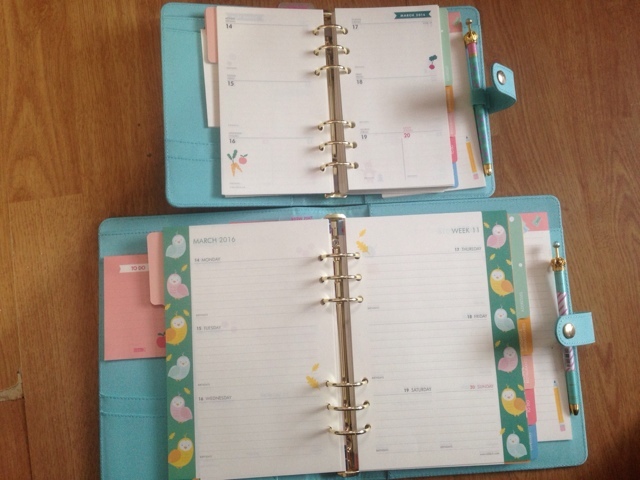 Similarly the weekly spread in the medium has illustrations rather than the page borders, but this gives greater freedom to customise the planner, whilst the large offers the convenience of it already being done. The to do list was similar, with complimenting illustrations. I'd have liked to see the watermelons on the medium as well as the large, but some stickers could easily fix that, its certainly not a deal breaker. As with the other sections, the differences are slight and creates a nice distinction between the two planners. Finally, the notepad at the back of the planner is the same, just slightly smaller in the medium. I love the design of this and almost begrudge writing on it because I don't want to use it all up! The expenses pages opposite are slightly different, but again not a deal breaker. All in all I love both of these planners, and I look forward to moving into them pretty soon. Both offer fun, colourful inserts and bright cheerful themes. I particularly like the fact that they are complimentary planners rather than completely identical. Thanks Joanny, the colours are so yummy. They remind me summer's coming! I didn't know the pages in the large watermelon had designs and borders on! 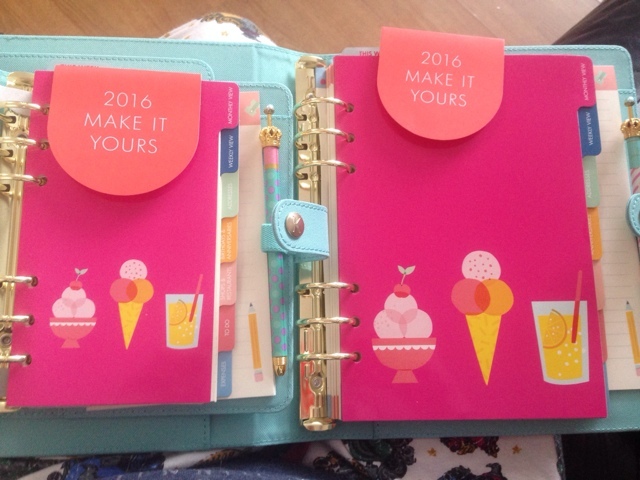 I have a large pink personal planner and all the pages are plain in that... I thought it was the same for all. They're very pretty pages! 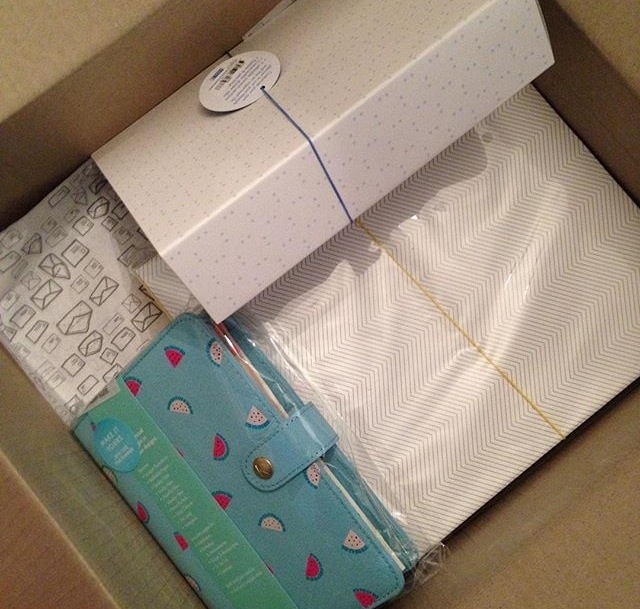 I didn't realise until it arrived, I've got a couple of Kikki K planners and the pages are plain in those. It was a very happy surprise!